What is the difference between the alimentary fast and the spiritual one? What is the most important for us, Christians – the alimentary fast or the spiritual one? It is known the statement “It is not important what you put into your mouth, but what comes out”, meaning that if you do, speak and think well towards your neighbor it is more important than what you eat. When a man abstains from food for a period of time without a spiritual reason, or without having a proper spiritual condition, this is a fast that covers only the alimentary aspect and excludes the spiritual one. 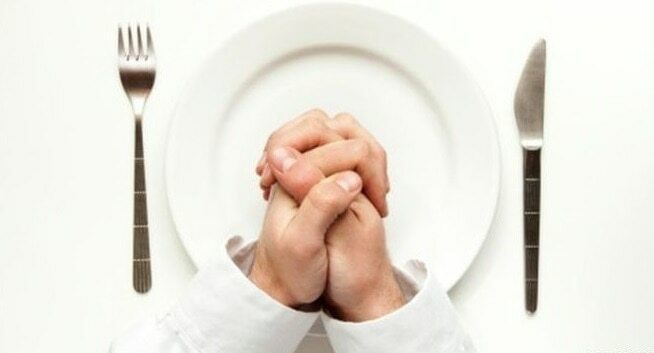 The Bible doesn’t give us such classification of fast, nevertheless, there are many passages in the Bible that show us that the fast that limits only to food abstention, without an attitude and a spiritual situation that is pleased to God, doesn’t have any value and it doesn’t achieve its purpose. While I was teaching a book of the minor prophets of the Old Testament, we were studying about fast and one of the students said that if the spiritual aspect of the fast is so important, it doesn’t matter if you eat or not. It is not so. Fast means abstention and so, it necessarily implies abstention from food or even from water. But it doesn’t have any reason if it not accompanied by a humble attitude of the heart and a righteous living before God. So God may help all of us to live.